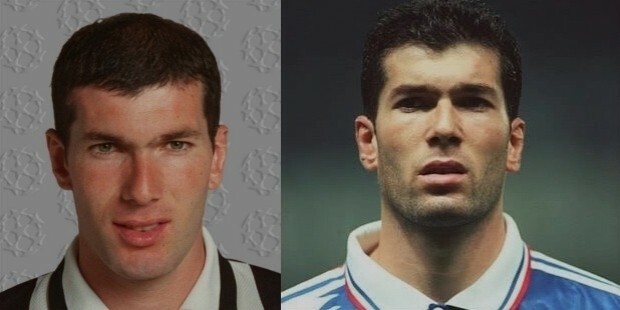 Zinedine Zidane was born on June 23, 1972 at Marseille, France. He started playing football at the age of 5 with the children in his neighborhood at Place Tartane. By the age of 10, he was selected to play for a local team called US Saint-Henri. Next he was promoted to play for SO Septemes-les-Vallons where he played till he turned 14 years old. Here his performances went unnoticed until a football playing star named Jean Varraud identified the talent in this young kid. He took him to practice for the Cannes club team. Here he impressed one and all and was given a contract at the age of 15 itself. His first professional match for the club was on May 18, 1989 against Nantes in the Ligue 1, the biggest league competition in France. He scored his first goal for the team on February 1991. In his very first season with Cannes team, he helped his qualify for the UEFA Cup for the first and only time in club history. In the 1992-93 season, he was transferred to the Girondins de Bordeaux where he played for 4 seasons. He helped the team win the 1995 Inertoto Cup and reach the final in the 1995-96 UEFA Cup. He was the 2006 Ligue 1 Player of the Year and was now considered one of the midfielders in the world. He was transferred to Juventus in the year 1996. In his first season itself, he was instrumental in his side’s winning the 1996 Intercontinental Cup and the 1997 Serie A Cup. Again in 1998 he helped Juventus win their second consecutive Serie A title and reach their 3rd consecutive UEFA Champions League title. 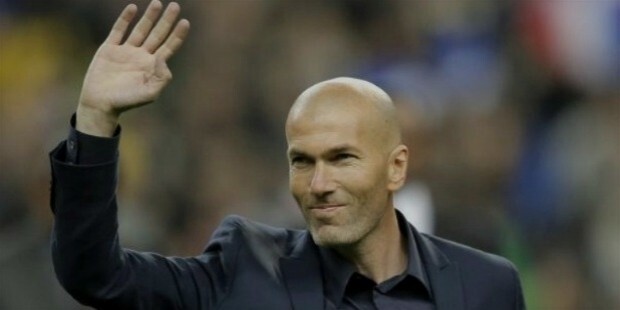 In 2001, he was paid a world record fee of €75 million for a 4-year contract with Spanish giants Real Madrid. In 2002, he scored the winning goal in the final of the UEFA Champions League to beat Bayer Leverkusen 2-1. 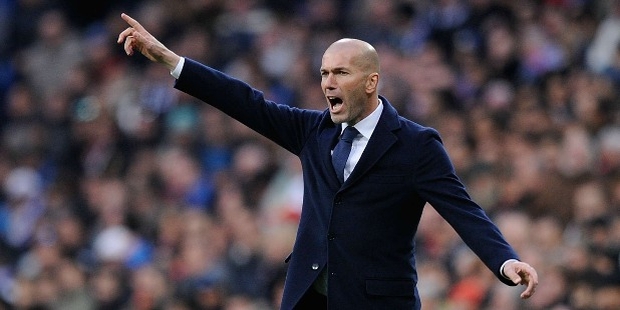 Zidane helped Real Madrid win the La Liga in the 2002-03 season. During his time at Real Madrid, he was considered as the best all-round player in the world without any hesitation by both critics and fans. In 2004, he was voted as the ‘Best European Footballer of the previous 50 years’ in the 50th anniversary poll conducted by UEFA. In his 5 year career at Real Madrid, he scored 49 goals in 225 matches. In his club career, he has played for 4 years for Cannes, Bordeux and for 5 years for Juventus, Real Madrid. He has excelled at the club level in Italy, France and Spain scoring a total of 125 goals in 681 matches plus the innumerable assists and opportunities he has created. 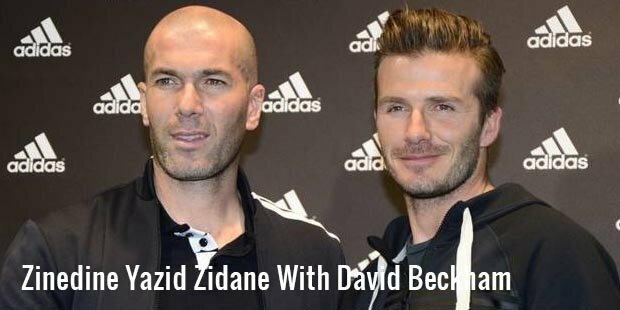 His international career has been studded with exceptional achievements which include him leading his side to the 1998 World Cup by scoring two goals in the finals against Brazil. He has also captained his team to the 2006 World Cup finals against Italy, where they lost in the penalty shoot outs. He was the winner of the Golden Ball award for the best player of the tournament in the 2006 World Cup. He has scored 31 goals for his country in 108 appearances. He has also lead helped his team win the Euro 2000 and was named as the Player of the tournament. He has been named the ‘FIFA Player of the Year’ in 1998, 2000 and 2003. He is widely considered as one of the greatest football players in history.